I have an admission to make. My entries into this week's Gallery are not my own photos! These pictures were in fact taken by my Dad of food he grew himself. In the past few weeks my Dad has become some kind of photographic, blogging fiend. After inheriting a camera and being let loose with it in the garden he then started his own blog “Mark's Veg Plot” about a month ago. 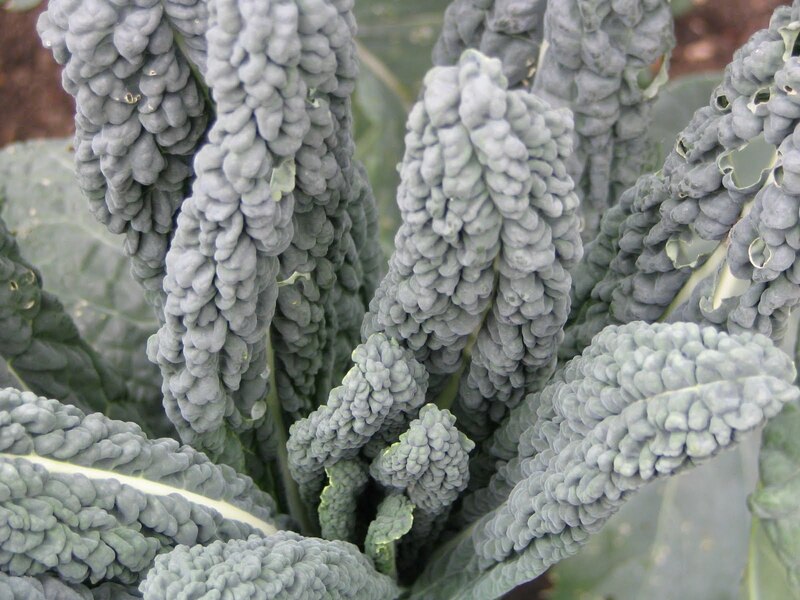 In the space of a few short weeks he has written a vast numbr of fascinating blog posts about his kitchen garden, some of which have been featured on major gardening websites and magazines. Each post is supported by some stunning photography, all of his own doing. I feel proud, yet somehow inadequate! 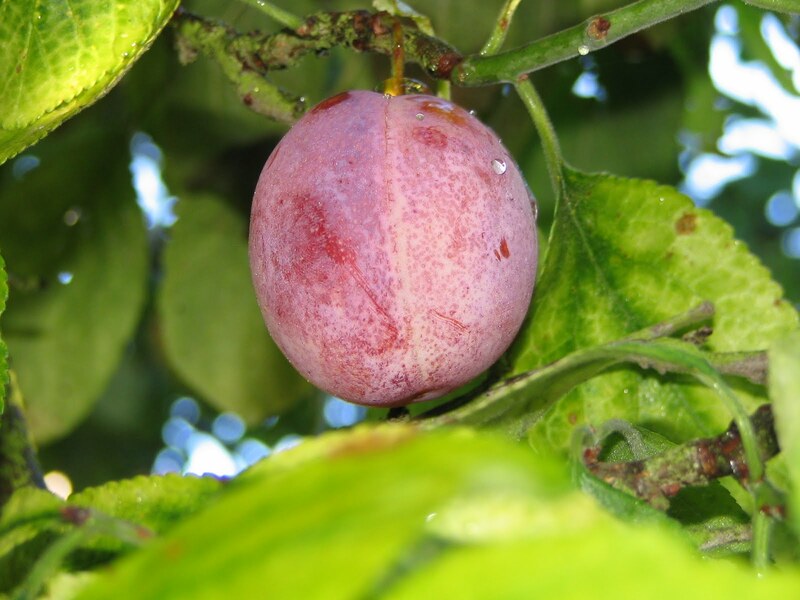 My parents are both passionate foodies and my Dad is a serious gardener – fruit and veg are his specialities. I've blogged before about how I plan to pass on this passion to Lara and I know it is already working. When Lara visits anyone with a garden that contains edible plants, she rushes out to explore and see what goodies she can consume. 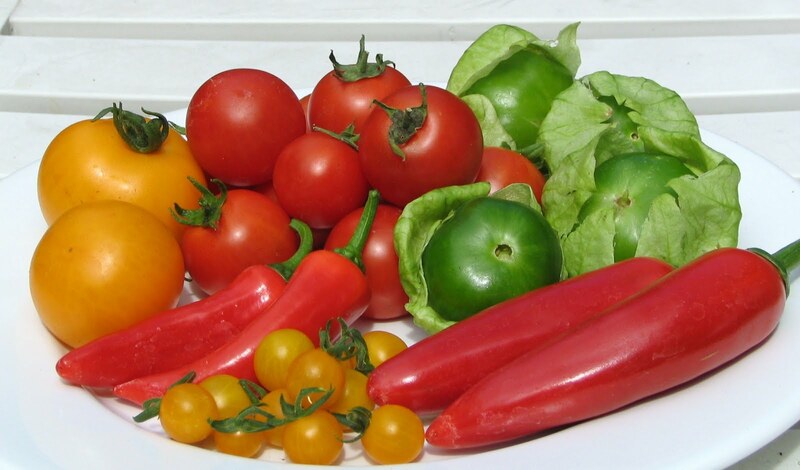 On one occasion recently, when the childminder took her to visit a friend's garden, Lara helped herself to someone else's tomatoes, chillis and sweetcorn. Ooops. Occasionally I have had to physically restrain her from eating tomatoes straight from the plant. My Dad seems to have found his photographic inspiration. 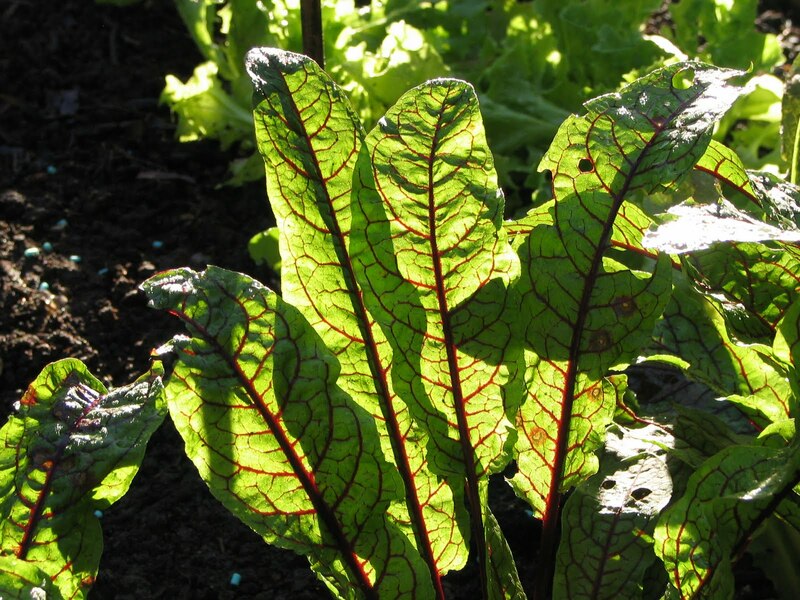 Please go visit his blog, there are some truly stunning photos there, some great recipes and some fascinating gardening tips. There are also one or two shots of Lara! 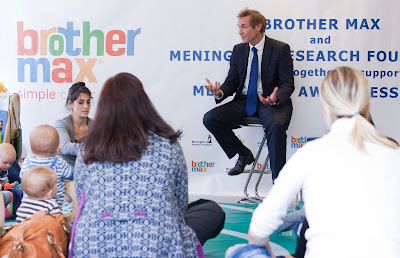 I want to say a big thank-you to all of my readers who filled in the Brother Max survey for National Meningitis Awareness week and for all those who left great comments on the amazing guest post from Jannette. Last week was National Meningitis Awareness week and to support the cause and announce the results of their survey, Brother Max and the Meningitis Research Foundation held an event in London where mums and dads were able to quiz TV medic Dr. Hilary Jones. Over 1500 parents filled in the survey and the results showed that 76% of respondents were not confident in their own ability to diagnose illness in their children. Despite the fact that 77% of parents knew that a raised temperature was a sign of illness, over half of the respondents did not know what their child's normal body temperature should be or that the critical body temperature varies between babies, toddlers, adults and children. Interestingly, over 90% of parents said that they own at least one thermometer but over one third of respondents still rely wholly on measuring devices that most GPs would consider to be inaccurate. You can read my review of the incredibly easy to use and accurate Brother Max 3-in-1 ear and head thermometer here! Meningitis Research Foundation www.meningitis.org or call 080 8800 3344. As you probably know, I use re-usable nappies on Lara most of the time. Cotton nappies are a funny thing, you have to invest quite a lot of money up front on them and so once you have made your decision on which brand to try, you are kind of stuck with it! We currently use the Bambino Mio system. I'm happy with it, but I'm not sure it is what I would have chosen if I were to start the thinking process all over again. I am lucky to have had the chance to try the OneLife nappy system thanks to Hello Baby who sent me one to try. OneLife nappies are one of the more widely available brands of re-usable nappies but not one I knew much about. OneLife reusable nappies are available from the online nursery and baby shop Hello Baby. I've bought a couple of things from Hello Baby recently as they have a really impressive range of products for baby and toddlers. I will probably tell you about the Doidy Cup I bought at some point in the future! The OneLife nappy system is one which features a cotton wrap nappy and a water-resistent outer wrap. The inner nappy is a one-size-fits-all cotton nappy which is shaped around your baby. It fastens using plastic press-studs and has a number of different sets of studs so that you can adjust the nappy to fit your growing baby. There is also an insert which pops into place which you can use for extra absorbency at night. Honestly, I found the number of poppers bewildering. Each time I had to fasten a nappy, I wasn't sure which studs matched up to which! I also found that even on the very largest setting, the nappy seemed very tight on Lara around the legs and left marks after just a couple of hours. Lara only weighs about 12kg and is 15 months old. I don't think she can wear the OneLife one-size nappy right up until she is potty trained if she continues to grow. The outer-wrapper comes in different patterns and different sizes. Because of this, it has less studs to do up. It did frustrate me though that I had to do up two separate sets of studs – one for the nappy and one for the wrapper. The wrapper gaped at the sides and had a funny, unflattering squareness to it. The OneLife cotton nappy certainly seemed softer on Lara's skin than the Bambino Mio nappy but I found it more difficult to put on her, less comfortable for her and harder for me to prevent the nappy leaking urine out from inside the wrapper. My other observation is that the wrap-around nappy caused all of Lara's lower region to be wet, whereas the Bambino Mio nappy isolates the moisture to one line from front to back. You can find out more about the products in the One Life reusable nappy system at Hello Baby. I have just launched a new blog over at parentwheels.co.uk and I am looking for some direction and inspiration from you, my lovely readers. When I test-drove the Kia at the weekend, it dawned on me that the things I now look for in a car are VERY different to the qualities I looked for about 3 years ago in my pre-baby life. I found myself putting the car through some very vigourous tests! A CD player or ipod dock that offers easy controls for me as a driver and good sound quality in the back for my children. If you have any qualities that you would like to add, please add them in the comments below. Hoepfully, it will lead to some fascinating, honest reviews. parentwheels.co.uk is still very much as work-in-progress (as you will see if you come and visit) but I will be working on it over the coming days and weeks and recruiting guest bloggers, reviewers and feature-writers. If you'd like to get involved, please let me know. Please come and visit me, follow me, join me, contribute for me etc. at parentwheels.co.uk - it could be something amazing! I will never tire of Lara's smile. Fact. I have chosen this photo for this week's Gallery where the theme is A Smile. 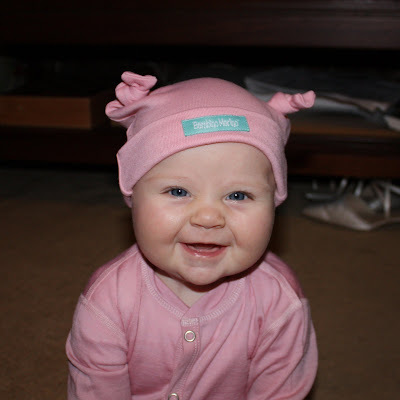 This photo was taken in December 2009 as Lara was approaching 6 months old. I love it. That smile to me shows the point in Lara's life where she started becoming Lara, rather than a baby - she developed a cheeky attitude and knew how to have fun. I also love this picture because it is the very last photo I have of Lara without any teeth. That gummy grin hides the pain of teething! I know there were two front teeth coming at that point (when I zoom in on the photo, I can just about see them) so for me, this photo represents the end of an era. Having seen the effect it has had on my own daughter, I strongly believe that getting your children involved with music at an early age is a great way of encouraging creativity and improving social and language skills. Recent research carried out by Sony Music reveals the importance parents place on singing songs and listening to music with their children. 40% of parents believe that music improves their children’s senses and 35% think it helps form a bond between them and their child. Lara is a musical soul, which is weird, as there is barely a musical bone in my body, or that of Mr. B. I can honestly say that music is one of Lara's favourite things. She likes to play music, to listen to music and to dance to music. I put this down to the fact that I started taking Lara to music lessons when she was just 8 weeks old! During my maternity leave I took Lara to a weekly 'Music with Mummy' lesson. It lasted just 30 minutes and my exhausted little girl would leave beaming from ear to ear. From the point when she was just learning to exercise her grip, Lara would play with a rattle or drum while we sang along to nursery rhymes or songs and encouraged the babies to get involved. As the weeks passed, I saw Lara grow in confidence around the other children and become more actively involved in the music-making. When I returned to work at 7 months, I had the difficult choice of which of Lara's lessons we would continue on my single day off each week. I chose the swimming lessons because I felt that I could buy some CDs and fashion some instruments of my own and continue with Lara's musical entertainment at home. Creating your own musical instruments is a great way of bonding with your baby. Some of Lara's favourites included a tin of lentils (yes, the lid did fly off and send lentils everywhere! ), a plastic pot filled with pasta and rice and, the all-time favourite - a saucepan with a wooden spoon. Lara was recently sent a few musical instruments. I have caught her on many occasions shaking her bells and her maracas to the rhythm of a song playing on TV while dancing on the spot! At 15 months old she has also already worked out that to make the recorder play a note, she has to blow through it and not just say “ooh” into it. My quest to turn Lara into a musical maestro was somewhat scuppered when I realised that it is actually very hard to find good quality music for young children. I had imagined a CD full of nursery rhymes that I knew and loved, recorded in a quality way that would inspire Lara to join in. What I found on my first few attempts at buying a kids CD was that in general they were all recorded by a lonely bloke in his back room with an awful lot of “la, la, la-ing” when he'd forgotten the words and “oooohing” to fill in the gaps between single (or even half) verses of hundreds of different songs (some of which I had never heard of and rather think were invented on the fly). In the Sony research, 70% of mums said they sing the same nursery rhymes over and over to their children every week and more than a third of parents (36%) admitted that they get irritated and bored of the same nursery rhymes and driven to distraction by most of the children’s music they hear. The research revealed that over half of parents (51%) believe that there is a lack of decent children’s music that they too can enjoy. We recently discovered the Toybox album by The Rainbow Collections (featuring the voice of Zero 7, no less!). We already owned their previous CD – Lullaby which is a beautiful collection of bedtime tracks but Toybox was EXACTLY what we were looking for. 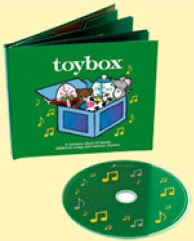 Toybox is a collection of 14 tracks from 'I'm a little teapot' to 'Humpty Dumpty' and 'Old Macdonald'. They are all songs and rhymes that are well known and they are presented in a fun, but modern way. You can sing along to them all but each of the tracks is that little bit more than your usual rendition. I found the music fun and engaging and I really can imagine listening to the CD quite frequently without going bonkers! It is a refreshing change to find a baby music CD that is produced to a high quality. When I see the joy and laughter that playing, dancing to and listening to music brings to Lara, I always smile. I love watching her practice her moves to the music and can see it helps her to develop her balance and dexterity. When she sings (which she does a lot, especially in the back of the car), it gives me a shiver of delight every time I hear her come up with a new word. All of Lara's first words have been lyrics to songs - "Row, Row, Row", "Head" (as in shoulders, knees and toes) and "Peppa Pig" (including the doo,doo bit afterwards). There is no doubt that music helps Lara develop her language and movement skills. Note: The research mentioned above was conducted by Sony music as a survey of 1000 British parents in July 2010. This review was first posted on The Family Panel. I am thinking about making a family car review a regular feature so I'd like to know your thoughts. Have a think about what is important to you for a family car and then come back on Thursday to give me your feedback. Thank you! 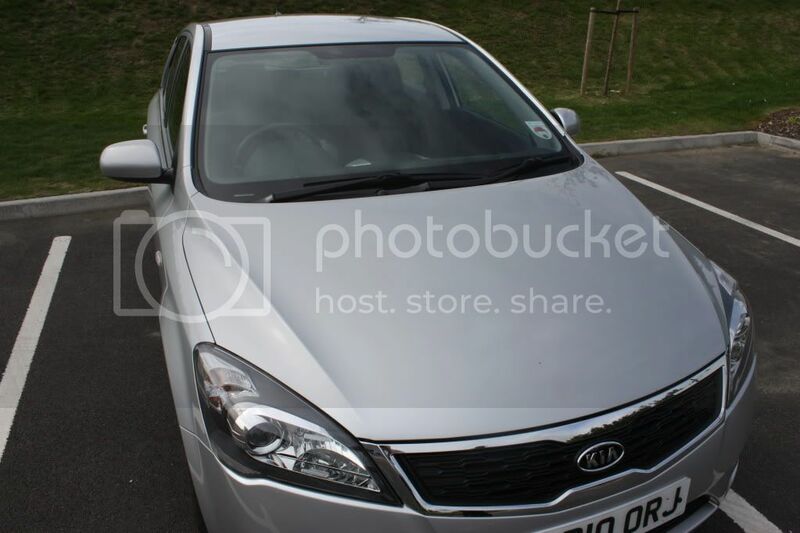 I would highly recommend the Kia C'eed as a great family car. 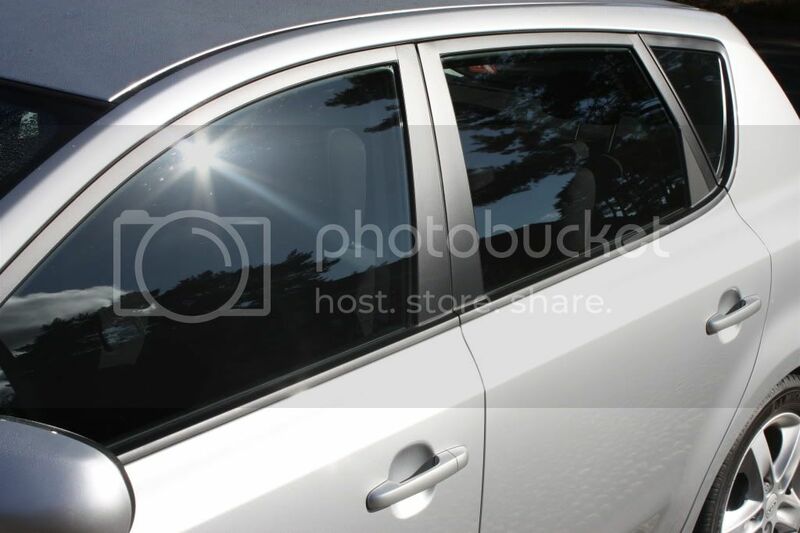 It is a 5-door hatchback that offers good value for money compared to other cars of the same size. As a 5-door car, I found it easy to get my toddler in and out of the rear seats. It has long belts which make it easy to fit most 3-point harness children's car seats. It also comes with ISOFIX as standard on all models. I was surprised by all aspects of the spaciousness of the Kia C'eed. As a passenger I had more than enough room to stretch my (longer than average) legs without bashing my knees against the dashboard. In the back, even when my passenger seat was at it's furthest point, my daughter could wave her legs about to her heart's content without kicking the rear of my seat! These are both things that we struggle with in our existing car. The boot of the C'eed is deceptive. My first impression was that the spaciousness of the passenger seats had caused the boot to be tiny; but, when I filled it full of luggage, I was proved wrong. We even managed to fit my daughter's tricycle in the boot without having to remove the parcel shelf. Bonus. We tried the 1.6 litre CRDi Kia C'eed 2. The engine is designed and built in Europe to deliver 113bhp. I found the 6-speed gear box to be smooth - I REALLY enjoyed driving the car due to the effortlessness of the gear change. At low gears I was disappointed with the acceleration, but from 3rd gear upwards the car felt powerful and responsive. My only gripes about the C'eed were cosmetic. The C'eed has an extremely high specification even on their standard models but there are one or two little luxuries that I missed - a heated windscreen, rain-sensitive wipers and automatic lights would all be on my wishlist. I was disappointed that the driver's arm-rest was in fixed position - given that the seat had such a wide range of positions, this seemed strange to me. I also had difficulty viewing my headlight indicator because the anti-glare shade around the speedometer obstructed my view. In general though, I was pleasantly surprised by the quality of the finish throughout – the seat fabric and dashboard finish were of a high standard. I found the CD system in the C'eed to be surprisingly good quality for a manufacturer's standard installation. The steering wheel controls were very easy to use. I also liked the fact that I could play and charge my iPod from the audio and USB ports. 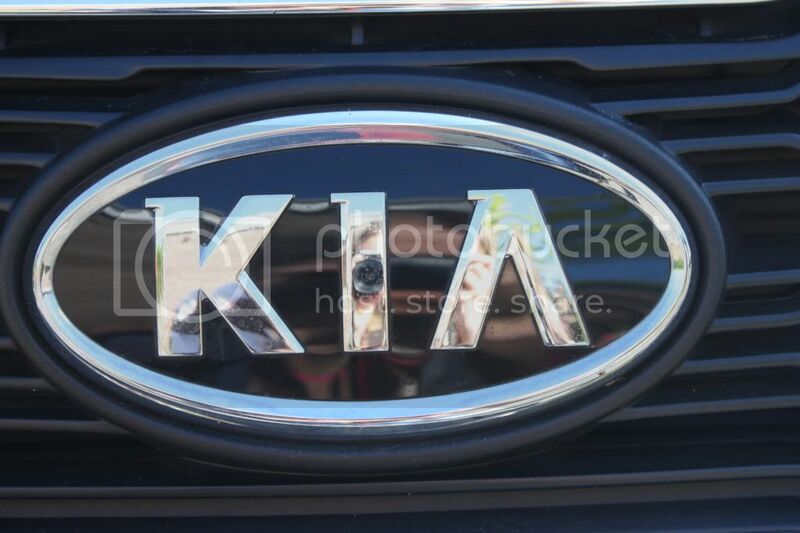 Kia are unique in Europe in that they offer a 7-year (or 100,000 miles) warranty – that is quite some statement about their confidence in the quality of build and the reliability of the car. At £15,255 on the road (for the 1.6 CRDi C'eed 2), I feel that the C'eed offers great value for money as a family car that is fun to drive. It comes in at insurance band 6 and Vehicle Excise Duty band C (£35 per year!) because it has low CO2 emissions and a combined fuel economy of around 63 miles per gallon. You can find out more about the Kia C'eed at www.kia.co.uk. I have just got back from the MAD awards. It was fab. I had a wonderful evening (even if much of it was spent behind a computer writing the Live Blog) and I met a group of awseome, inspirational and jovial bloggers, PR representatives and product inventors. I may not have won an award but hey, I didn't come home empty handed! I had an enjoyable meal, a few drinks, a free spa session and a stay in a surprisingly plush hotel. I got me a goody bag, and my table won the quiz (without my help, as I was manically trying to track the answers on the twitter stream from those joining in at home). 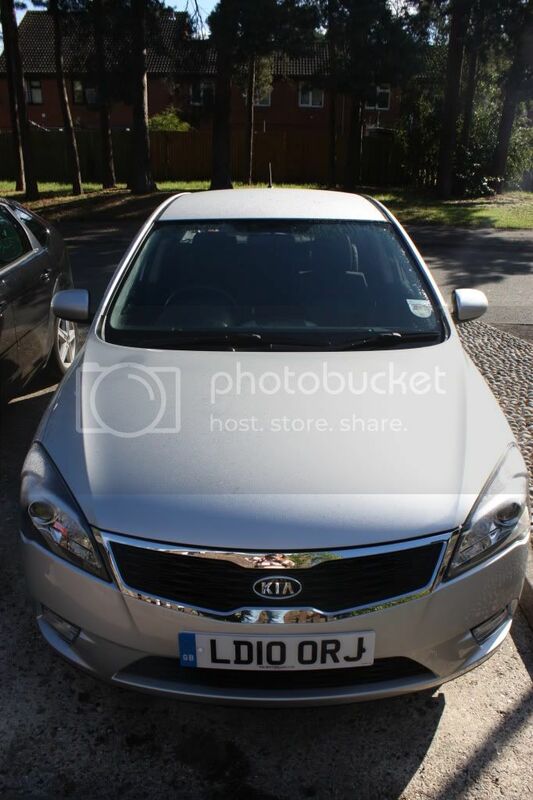 My trip started on Monday morning when I went to pick up the ever-entertaining Claire of 20 Something Mum in my stylish Kia C'eed 2 (it has a 1.6 litre turbo diesel injection engine no-less). The lovely people at Kia had kindly offered to lend me a car as Claire doesn't drive and I had to leave my car for Mr. B. So, instead of a stressful 3-hour train journey with at least 4 changes of train, we drove down to Bognor Regis in style (and speed) listening to some choons on the CD player. We arrived at Butlins Bognor Regis in time for a quick lunch at the Kaleidescope restaurant in the Ocean hotel. After a photo shoot alongside the trusty Kia, we met up with all the other bloggers for a coffee and cake reception. It was a good chance to meet new people and break the ice before the evening. 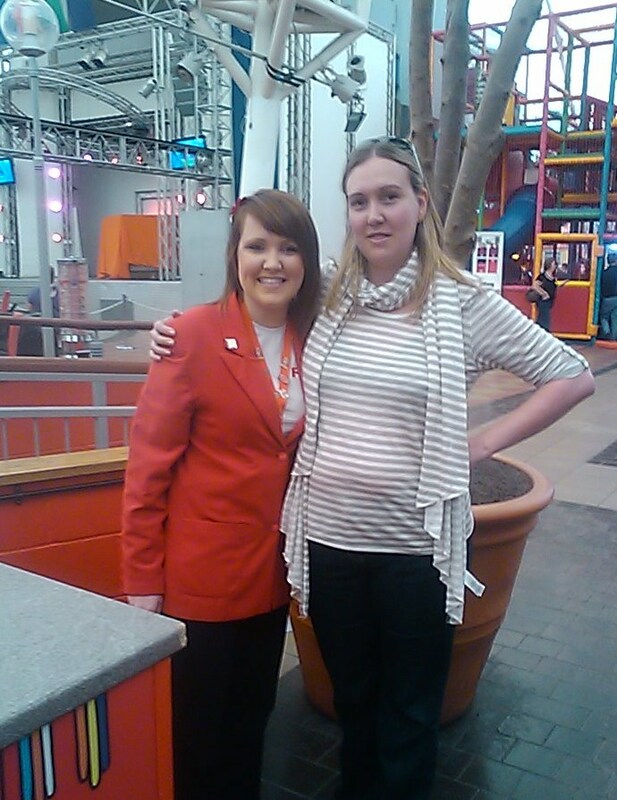 We were set a challenge to explore the Butlins resort and to get a photo taken of us with a Redcoat. We found this lovely lass in the pavilion providing in-fun-tainment. I got lots of positive feedback about my outfit that I had chosen from Very.co.uk. I picked a casual outfit because I knew I would be spending more time in it than my evening outfit, and because it is so much more ME! Half of these items were supplied for the awards by Very, but the other half I bought because I was really impressed with their service. Since first discovering Very.co.uk through the MADs I have spent more money with them than I should! I've found them to offer extremely fast delivery (and you can arrange it to be at a time that suits you such as 'avoid school runs', for a premium). Very is a great online place to buy designer labels and women's shoes. They appear to be the online face of Shop Direct (home to a number of mail order brands) and as such, they have a huge range and some good credit options, should you need them. During the evening, I spent much of the time blogging on the live blog but after the awards ceremony we all gathered for a drink in the bar at the Shoreline hotel. Most people were well behaved and as civilised as Mummy and Daddy bloggers ever get. There may be photos of me somewhere that I hope don't surface. For me, it was a relatively sedate night. This morning I was up bright and early to go exploring. I didn't go in the pool (I would have done if Lara had been with me, it looked like a lot of fun) but I did take a stroll along the beach front in the refreshing autumn breeze! I shall tell you about Butlins in more detail at some point because I was actually very pleasantly surprised. And if you want to find out more about Very.co.uk you can read another review here on the Family Panel where I will also be sharing my thoughts on the Kia in more detail in terms of its suitability as a family car. Stay tuned. When Is The Right Time To Give Your Child A Pillow? When is the right time to give your toddler a pillow? This is a question I have been pondering for some time. From birth we are advised to lie our babies flat on their backs for maximum safety but at what point do they suddenly become old enough to sleep with a pillow? No-one tells you these things! I remember when Lara was just a few weeks old (in the days when the idea of Mellow Mummy was just forming in my head) chatting with my NCT ladies about baby pillows. As a mellow parent, I wasn't too worried about the shape of Lara's head as she lay flat on her mattress each night but I know that lots of mums do worry, especially if their baby sleeps at an angle and has a particularly pronounced shape as a result. Babies heads are squishy and they are easily shaped by the positions they sleep in. At this point in their lives, a baby-pillow seemed like a good idea. We didn't use a baby pillow because I didn't feel Lara had a problem with a mishapen head. But, on my quest for a suitable first pillow for Lara we have recently tried out the Theraline Baby Pillow which is designed for exactly the problem that lots of mummies worry about. For babies from birth to one year old, it is a tiny cushion that fits under their head with a soft dimple to lay their delicate skull in to. 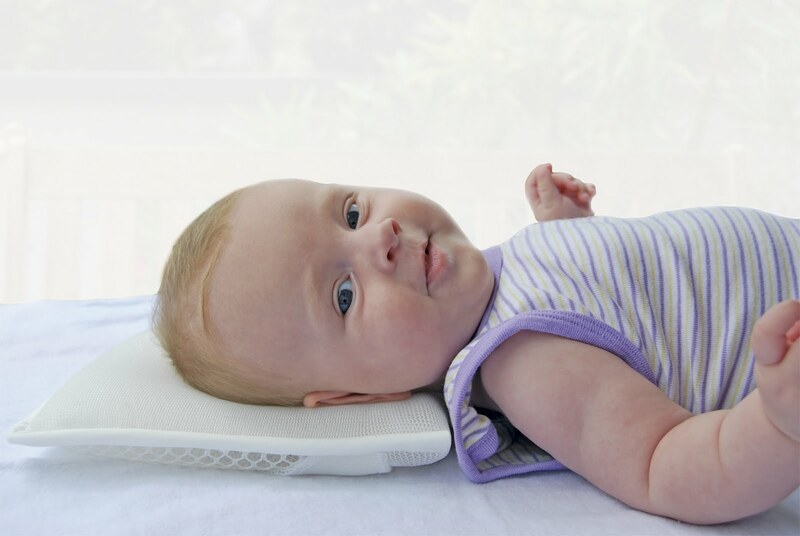 The pillow is made from a supportive mesh of breathable fabric to keep the child's head cool. It has an extremely shallow dimple so it doesn't prevent them from moving their head around as they sleep, it just provides enough support to the head to take the pressure off the skull. Lara was a very peaceful baby and barely moved. She has a patch of hair on the back of her head that is a different texture and a different length to the rest of her hair due to the balding effect of having slept on the same spot for so long. For Lara the pillow would have been perfect as a small baby but over the past two months she has become a lot more active and our attempts to place her on the Theraline were unsuccessful - within a few minutes she wiggled off the pillow. It is in part this increase in Lara's movement that has made me think that it may perhaps be time to introduce Lara to a 'real' pillow. I have read a number of baby websites which suggest that you shouldn't introduce a traditional pillow or duvet until 12 months old and many discussion forums which suggest leaving it a lot closes to 2 years. The thing which finally made up my mind was when Lara last had a cold (she was about 13 months old at the time). I helped to ease her congestion at night by slightly raising her head at night by placing a folded blanket under her head. After she got better, I tried to move the blanket away but she seemed really restless at night without it and would wake frequently, and often in really crazy positions in the cot. I put the blanket back and she settled better again so it stayed there for several weeks. A couple of weeks ago I invested in a real pillow! I bought a “My First Cot Pillow” from Kiddicare and a pair of pillow cases. The pillow by Baby Weavers is smaller than an adults pillow (60cm x 39cm). It is has a micro-fibre cover and a polyester pillow and is recommended from 18 months upwards. It is a lot fatter than I had expected a first pillow and I currently feel that Lara is too raised up when she sleeps on it – I'm hoping the pillow will slump a little with further use. There is no doubt though that the pillow helps. Sometimes she does still wriggle and squirm (and ends up with her head squished up against the cot bars where her feet should be)! But on most nights she now sleeps peacefully and with less movement and disturbance than before - I attribute that to the pillow. The decision is a very personal one and will depend on your child, but I think a good guide for when to give a child a pillow is between 13 and 18 months old. When I was first asked to review the Scandinavian Selection No-Tray Highchair I was a little taken aback. Why? Because it is a product with which I am already familiar. It's simple – it is exactly what I would draw if asked to draw a highchair. But then, as I sat there and pondered this, I realised that, in my recent baby-buying shopping sprees, I had never come across as highchair like it. Highchairs these days are all-singing, all-dancing, but perhaps they don't need to be? The Scandinavian Selection highchair is widely used in restaurants and cafes across the UK including Pizza Express. If it's good enough for use in a restaurant, it must be suitable for use at home, right? 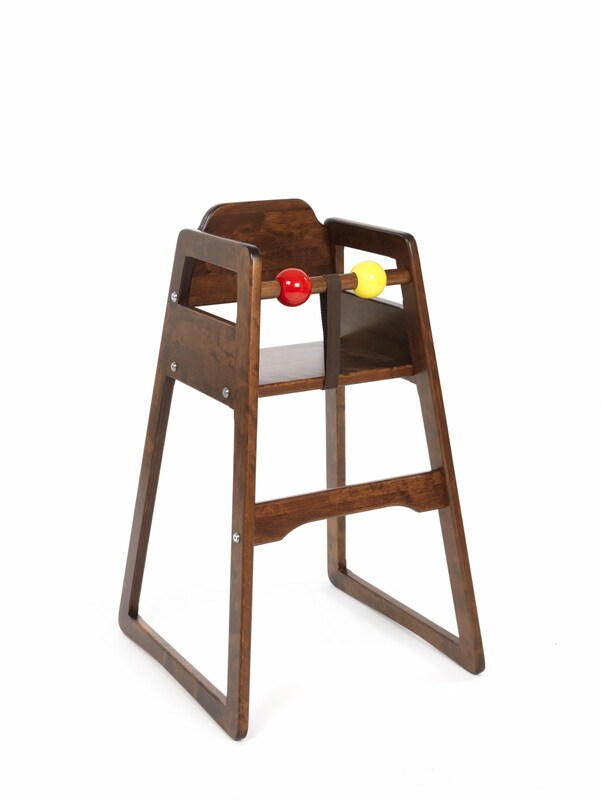 The No-Tray highchair is a great idea for encouraging your child to become part of the social occasion of mealtime. You child can sit right up close to the table – a tray puts distance between you and them. In the mellow household we have been looking for a wooden highchair for some time. Until now, it would have been no good for us as we have only had a breakfast bar; trust me, it is very hard trying to find a high-chair that is high enough for a child to eat at a breakfast bar. But thankfully we are on the move and when we have a dining table all of our own I want Lara to be able to sit with us at the table without a tray but with the support that a highchair offers. I recently had the opportunity to try a Stokke Tripp Trapp. I wanted to love it, but I didn't. 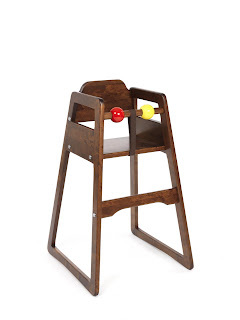 At £75 including delivery, the Scandinavian Selection No-Tray highchair is considerably cheaper than the Tripp Trapp. Because it doesn't try to be arty or clever, I found the Scandinavian Selection easier to construct, easier to get Lara in and out of, easier to clean and considerably safer for Lara to wriggle and squirm in to her heart's delight. It is certainly a no-frills highchair. It is fixed height, with no tray, no padded cushion, no cup holder, no recline and no wheels. But to be very honest, I rarely use any of those features of a highchair and it means there are less parts to clean and less pieces to lose or break. Despite it's simplicity, the highchair is still stylish. Our version is made from plain birch with clear lacquer - I think it looks smart and stylish and perfect for our new home. Lara loves sitting in the No-Tray Highchair. I think she really feels the freedom of it compared to her other highchairs. I sometimes worry that she wriggles about too much as the seat is very spacious. You can buy a safety harness to attach to the highchair but I think the real solution is to encourage your child to sit still and pay attention at meal times. The seat is firm and fixed and I think that I probably wouldn't have been able to use it with Lara when she first started weaning as it doesn't provide any support for babies who can't sit upright wholly unaided. The No-Tray highchair has also been put through it's paces by two of my team of mummy testers. The Scandinavian Selection No-Tray highchair comes in three different colours and can be bought online at their own website, Amazon or Jojo Maman Bebe. As a health & beauty reviewer, I tend to spend a lot of time telling you about the fact that I am still searching for my ideal moisturiser and my perfect shampoo. Sometime I review products I really love, but I simply can't justify the price tag. Other times I find products which seem great but I just don't love enough to go back to for a repeat purchase. So, for a change, I thought I would tell you about the products that I do go back to time and again. These products are my staples. The things I simply can't do without. They haven't always been this way, but currently they are my favourites and in most cases they have been for some time. To me, they all represent good value for money but they have become so much part of the furniture for me that they probably don't merit a product review of their own! 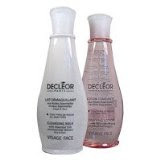 I love Decleor products. They are luxurious, plant-based and they smell great. Many of them are out of my normal budget but I am more than happy to splurge on a good quality cleanser and toner. These days I never have any problem with my skin not feeling clean, fresh and vibrant. I tend to alternate my Decleor daily care products with Clarins ones so that my skin doesn't grow too used to one thing but if I had to choose one brand, it would be Decleor for their floral fragrances and gentle cleaning. I'm lazy in the mornings. I use this really gentle exfoliating face wash on a daily basis to avoid me having to faff around with cleansers and toners. It leaves my face feeling clean and awakened, ready for the day. It took me many years to find a deodorant with which I'm happy but for the past 5 years or so I have been using Dove stick deodorants. The Invisible Dry deodorant is (just about) black-dress approved! Now Dove just need to sort out their palm oil issues and I'll be happy. Maybelline MascaraWhenever I try a mascara made by anyone other than Maybelline I am disappointed. They're not the most expensive brand available but for me they are the most reliable, whatever type of look you are going for. I have yet to find a brand that can beat Maybelline on water-resistant mascaras – most others I have tried either lack water resistance, or else won't even come off with industrial cleaners. My make-up bag is never devoid of a Maybelline mascara. If you have not tried Tweezerman tweezers then you do not know what you're missing. Once you have, you will never look back. At around £15-£20 they are very pricey but they are worth every penny and they come with a lifetime guarantee so if at any point you are unhappy with their pointy-ness you can send them back and have them sharpened or replaced. I always feel handicapped if I try and use any other tweezers these days. On special occasions, or just before I go on holiday, I splash out on a bottle of Calrin's smoothing body scrub. It is a gently exfoliating body scrub made with bamboo and it is a godsend for dull looking or slightly bobbly skin! I always keep a single bottle of my favourite Bio Sculpture nail polish for topping up my manicure/pedicure. With my Bio Sculpture polish it is hard for me to make a mess and I always get a good few days out of my nails, even if I don't use a top coat to protect them. Ah, it relaxes me just thinking about this! Mr. B. often buys me Molton Brown goodies as he knows I love them. The Warming Eucalyptus shower gel / body wash is my favourite as it is refreshing and zingy in summer and wintery and warming in winter. It will forever remind me of trying to wash away the hangover on the morning following my wedding! 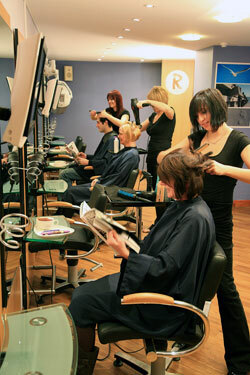 The Retreat in Wokingham is home to my hair salon, and my beauty salon. Although I hate to admit it, I spend most of my hard-earned cash there but it's worth it! I attribute most of my mellow state of mind to The Retreat! Since becoming a mummy, my visits have become less frequent due to financial strains and the desire to spend as many waking moments with my daughter as I possibly can. However, it is important to me that I maintain some semblance of normality (i.e. non-mummy time); The time I spend at the hair salon and the beauty salon is my me-time. I discovered The Retreat on Denmark Street, Wokingham nearly 6 years ago when I first moved to Berkshire. After a disastrous haircut at a salon in Bracknell I HAD to find something better. I googled hairdressers in Berkshire, found The Retreat and never looked back. I don't live in Wokingham (yet... watch this space) but the 4 mile drive every few weeks is worth it. I have had my hair cut by the same person for the past 6 years. This is a record for me. I trust her and have done ever since day one. Kathryn, my stylist has been with me through tangled tresses, long sumptious highlights and a short dark-brown bob! Like all the hair dressers at The Retreat, she has been trained to understand the customer's needs. She has learned that I like to chill out and that I'm not so bothered about conversation – whereas the next client she has may want to chat all afternoon. As a hair-salon The Retreat stands out for me for a number of reasons. The atmosphere is buzzy yet relaxed so that it appeals to clients of ALL ages and sexes (Mr. B. is a regular). 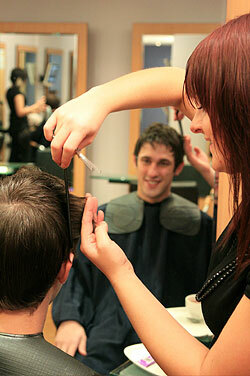 The staff don't fit the 'hairdresser' stereotype. They are all, on the whole, polite, efficient and focussed on their role. The Retreat is also at the forefront of salon innovation – as I have my hair-washed and my head massaged I am treated to on-screen travel-advice and pop-quizzes although I'm not so sure how important it is to me that I can buy shampoo for my pet while I'm there! The Retreat beauty salon is my haven! Situated just a little further down Denmark Street, the beauty salon is housed in a gorgeous wooden-beamed property with creaky staircases and wonky floors! The treatment rooms are well-equipped with several of them offering showers for treatments that require them. The olde worlde building really adds to the luxurious atmosphere but it does mean that they struggle with hot water supplies from time to time! The Retreat offers all the standard treatments along with facial treatments from Decleor and La Biosthetique. I enjoy turning up early for my appointments so that I can sit in a comfy chair, enjoy a hot drink from their extensive 'menu' and try out the Decleor samples on display. It is peaceful and welcoming and I find the staff just as courteous and enthusiastic with new customers as with regular clients. Over the past few years I have, on occasion, tried other beauty salons and have been disappointed. The Retreat ranks up alongside the treatment rooms at the major spas such as Nirvana spa, or Aqua Sana at Center Parcs (and I think it beats the treatment rooms at Champneys hands-down). The rooms at The Retreat could be more comfortable, they could be more standardised between consultants and they could be better sound-proofed (It's not nice hearing someone else experience a Brazillian for the first time) but there are few other salons I have tried who can beat The Retreat for the friendliness of their staff, for the consistent quality of their facial, waxing or nail treatments and definitely no-one comes close at customer service. I would recommend The Retreat for Hair and Beauty treatments in Berkshire without hesitation. The Retreat has been with me since myself and Mr. B. first moved in together; they helped prepare me for my wedding, to keep me healthy and sane during pregnancy (my first Braxton hicks happened while lying on a massage table having a Decleor mother-to-be treatment!) and this week, not only will they be responsible for Lara's first ever hair-cut but The Retreat will be the last place I visit before heading off on my trip down to Bognor Regis for the glamorous MADs award ceremony! If you would like to give your salon a shout out, I'd love to hear about them. Please post your review in the linky below and I'll enjoy reading your reviews and who knows, I may even visit if I'm in your area. All images courtesy of The Retreat. Regular readers of Mellow Mummy will know that I am still on the lookout for a moisturiser I can fall in love with. In my entire adult life I think I have only been back to buy another bottle of a moisturiser brand on two occasions – I’m not brand loyal when it comes to moisturiser. For the past fortnight I have been using the new Olay Total Effects Wake Up Wonder; I’m not going to jump the gun and say that this IS the moisturiser I have been looking for all these years but yes, things are looking promising. On the first day, I was wowed by the light texture and the zingy, minty freshness of the fragrance. When I put it on my face, my skin said “aaah”. It felt and smelt just like the feeling you get after having a really powerful shower with expensive shower gel at a posh hotel the night after a few too many drinks. Refreshing and rejuvenating. Things went a bit downhill from there though. Every time I used it, my skin felt great for about 15 minutes but within an hour it started releasing grease by the bucket-load. It felt gross. After 3 days of use I was ready to give up the trial but I stuck to it. I guess it must just have been my skin responding to a change in product because on day 4 my skin didn’t turn greasy and my face felt firm, clean, smooth and generally fabulous. Having used the product for a fortnight, I really can see some changes to the 7 signs of ageing that Olay boast about. I certainly have more even skin tone after just two short weeks and my skin feels smoother and more refined but I think I shall have to wait to see if there are more significant changes to the appearance of pores and small lines. I’m really loving my Olay Total Effects Wake Up Wonder and I hope that the honeymoon period doesn’t wear off for me. I was tagged a little while back by the glamorous Cheshire Mum in the Naughty Step meme. 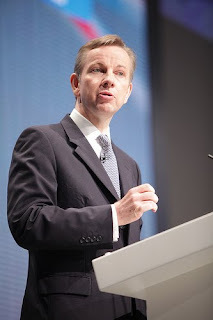 And so, I have chosen to send Conservative MP Michael Gove to spend some time on the naughty step to consider his behaviour and I hope, that when he comes back, he'll have come to his senses. For those who don't know, Michael Gove is the UK education secretary. He also happens to be the MP for the next constituency along from me so I got to see his name plastered up in great big blue signs for many months. I am sending him to the naughty step because of his decision to scrap plans for new and improved playgrounds throughout the whole of Britain. The labour government introduced a 10-year plan to improve play opportunities for children. The Playbuilder scheme gave grants to around 132 local authorities to build or re-build play areas for children to offer more children the opportunity to play safely away from home gaining vital exercise and social opportunities. In recent budget cuts, Michael Gove has written to all of these local authorities to cancel plans for all of the playgrounds on which work has not already started, or where there are not overwhelming reasons to continue. This decision directly affects the local area of Barkham and Wokingham to which I am about to move. I understand that the new government have difficult decisions to make with regards cost cutting and money saving but I feel like this was too hasty a decision, too easy a decision for him to make. Are children's playgrounds a soft target? Why is it that these are some of the first areas to suffer from the government's sweeping cuts? Isn't there any middle ground? Can't we afford just a few new playgrounds? So Mr. Gove, I'm sending you (with your funny face) for some quiet contemplation time on that naughty step to see if you can't come up with a better way to save money. I tag Claire, Hayley and Kay. Who is going on your naughty step?